The use of safe and toxin-free baby care products is important to any parent concerned about the long-term health of their children. It’s important to note that not only are children more sensitive to toxins in their environment, but they may also be more inclined to experiment with products containing toxins. In toddlers for instance this often means the child may attempt to taste the product or use it in a way not intended by the manufacturer. We tend to think of soaps, lotions and shampoos as items we don’t need to strictly keep away from children unlike cleaning products. Sodium Lauryl Sulfate (SLS) is one of the harsher chemicals that may be present in a child’s environment. It’s a surfactant used in a variety of cleaning products including dish soap and laundry detergent. It’s also present in a number of baby care products. SLS is capable of causing skin irritation and has the potential to irritate the eyes. Some claim that it’s a contributor to cancer but at this stage there is no proof of this being a fact, as the American Cancer Council have publicly stated. The truth is that SLS can cause problems with sensitive skin and as a parent you may want to consider SLS free baby care products. Below is a list of products that use less-harmful alternatives to SLS. These products all have great reviews. This is a high quality shampoo that can also be used as a body wash. The Nurture My Body baby shampoo is organic and only has gentle ingredients, making it the perfect choice for babies. It is on the expensive side, but you really can’t put a price on the health of your baby. You can be rest assured that this product will keep your baby clean and healthy. Dr. Bronner’s is one of the top natural soap brands on the market. Their high quality baby soap is mild and unscented, so it’s perfect for a baby’s sensitive skin. The main ingredient is olive oil, which give it a great moisturizing effect so the soap will never dry out your baby’s skin. 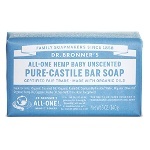 Dr. Bronner’s baby soap is certified fair trade and made with organic oils. Parents should pay attention to ingredients in their child’s toothpaste as well to those in skin care products. This is because some toothpastes are known to contain SLS. The ingredients in toothpaste are especially important since younger children are prone to swallowing it. 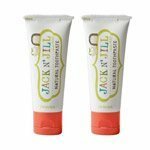 Jack N’ Jill toothpaste contains no SLS and is also free from preservatives, fluoride and sugar. It contains xylitol to help fight cavities and comes in a range of flavors including banana, strawberry and raspberry. This baby lotion uses the soothing properties shea butter, aloe, and olive oil. These plant-based ingredients do a great job moisturizing your child’s skin. Babyganics baby lotion is especially beneficial in harsher weather conditions. It’s completely free of any chemicals. 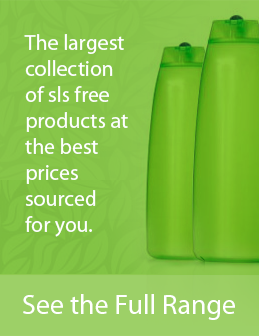 There are numerous tear-free shampoos and bubble baths available on the baby care aisles of grocery stores, but not all are SLS free- this product is. 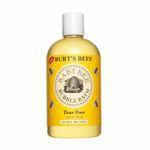 Baby Bee Bubble Bath contains no sulfates or phthalates. Its fragrance is 100 percent natural and it will leave a baby’s skin soft and pleasant smelling. Wipes are one of the most important products in a parent’s baby care arsenal. They are used daily and so it’s important for them to be free of potentially harmful ingredients like bleach and parabens. 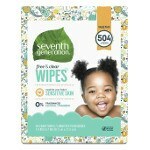 Seventh Generation baby wipes are free of these chemicals and are also biodegradable. Diaper rash and eczema are common problems for infants. Parents who want a natural remedy will love the On Baby Calendula Diaper cream. It has no SLS, parabens or Phthalates but instead contains gentle ingredients like calendula and aloe. The benefit is that it nourishes and soothes a baby’s delicate skin without the use of harsh chemicals. This is an all natural styling gel that provides protection for a child’s hair while ensuring that only the safest of ingredients come into contact with their delicate skin. Love Me Baby Me Hair Putty is easy to rinse out and is pH balanced in addition to being free of harsh ingredients like SLS and parabens. It’s perfect for spiking hair or adding curls. Thanks to organic suppliers such as Babyganics and Nurture My Body (to name just a few) there are a number of SLS free baby products available for anyone concerned about Sodium Lauryl Sulfate. The list above represents some of the best options available. Does Sodium Lauryl Sulfate Cause Acne?